Last weekend my boyfriend & I went on a little trip to Cambridge and yet again, I found myself being persuaded by the little voices in my head to have a...browse...in the MAC shop. 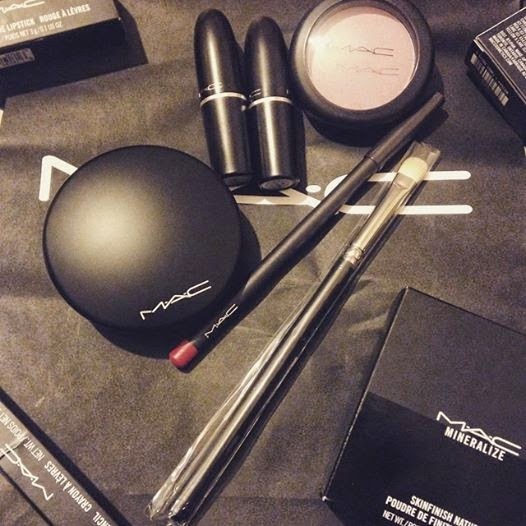 I never find it difficult to pick things up in MAC, I go into a little world of my own and start telling the beauty advisors every shade of lipstick I want, what lip liner I need to go with it etc, etc. So on this trip, I left with 6 beautiful things which I will list below. This is my everyday powder that I use to set my foundation and as a touch up throughout the day. I really wanted a dark red shade lipstick as I don't own any and this is the perfect burgundy. All the reds I own from MAC are in a matte finish which I often find hard to apply. This shade being in satin means I can rock a red lip without spending a long time perfecting it! This is the perfect lip pencil for the MAC Red lipstick. With any bright shades I like to wear a lipliner for the staying power and to stop it from bleeding. 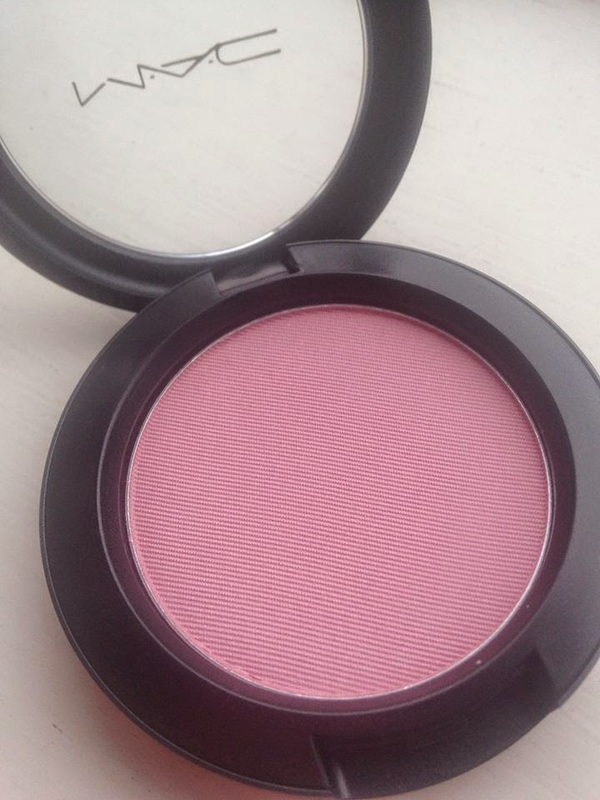 I have never used this colour blush but after endless amounts of praise it has received I just had to try it myself! It is a gorgeous soft pink. Left: Dark Side. 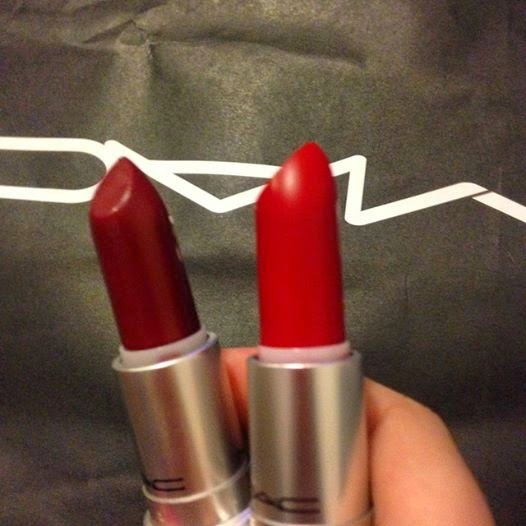 Right: MAC Red.